If pests are invading your workplace, you are probably at your wits end. Pest invasions are not only bad for business, it can also threaten the health of your employees and your customers. Some pests are carriers of harmful bacteria and diseases that must be eradicated as quickly and thoroughly as possible to prevent harm and illness. We service all types of commercial buildings and businesses! It is absolutely essential to your business continuity, not only to evict these pests from your building, but to ensure they don’t come back. 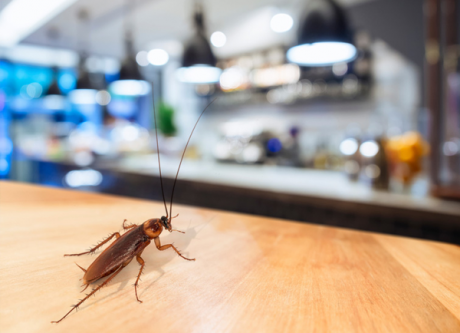 Our commercial pest exclusion service includes a thorough inspection of every inch of your business, inside and out, to ensure those pesky bugs and rodents simply aren’t able to find their way back in. Entry Points: We identify all possible entry points, sealing all holes, cracks, and crevices so that your unwanted visitors don’t feel welcome anymore. Water Sources: We remove any instance of water leaks to prevent moisture-loving pests from taking up residence. Food Sources: Many pests feed on or are attracted to items you might not have even considered. We will seek out and actively remove any potential sources of food. Harborage Points: We will seek out, identify, and block all interior and exterior burrows and spaces in a defined radius around your building to ensure that pests move along. Customer and Employee Areas: We know how important it is to ensure that there are no pests in public areas of your business. We will pay special attention to these spaces so you can have confidence in your safety and that of your employees and customers. 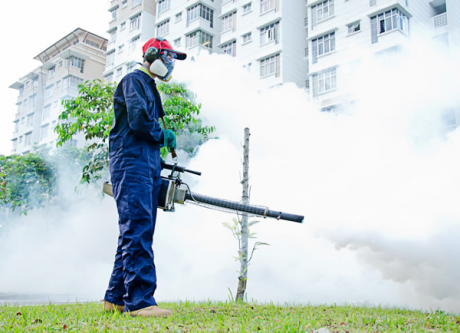 If you have a pest situation at your place of business, call us right away. In most cases, we can have a technician on-site the same day to start taking control of the situation. We use the latest, safest, and most effective pest control and eradication techniques, helping you take back control of your building and get on with what you do. We offer one-time and ongoing maintenance rates. Call today to schedule your FREE inspection & estimate.